In many places throughout North America, "mould" is a five-letter word. Homeowners and employers fear it. Employees are quick to blame it for health symptoms that arise at work. In these mould-averse times, it is easy to forget that mould has a natural place and purpose. In some cases, the development of mould is actually good! But this is never true when the mould you find is growing inside a structure such as your home or workplace. In this post, learn about mould from all sides of the story and find out what to do now if you are having a mould problem. In natural outdoor surroundings, mould is actually quite beneficial. Even right now, mould is hard at work on the ground outside, breaking down fallen leaves, dead branches, and other flora and fauna to fertilize the soil and facilitate new plant life to grow. 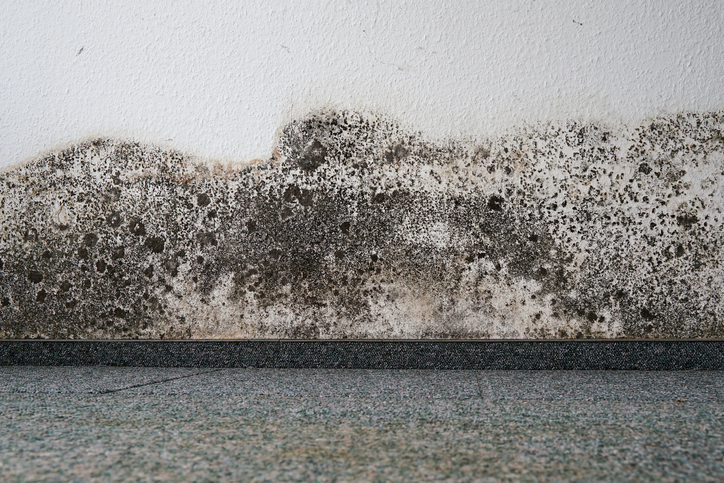 Mould is always active in a natural setting because moisture is always available. Once mould gets started, it uses the matter it is breaking down as fuel to grow by producing more of itself in the form of spores. All of the various ecological and biodiversity strengths mould offers in a natural setting become drawbacks when mould begins to grow and replicate inside a structure. In other words, when mould finds optimal conditions to reproduce inside your home or office, this indicates an imbalance in your environment that needs to be corrected both for the stability of the structure and for the health of its occupants. Mould can also enter your indoor air at home or work via its spores, which are lightweight and aerodynamic and can be picked up by the slightest breeze and carried inside. The spores are also often tracked in on clothing or shoes, where they become part of the buildup in the indoor air duct system. Once inside, if the mould spores find conditions that are good for their continued growth, they will settle in and start to spread. There are literally thousands of different types of mould. In fact, one of the most well-known types, Penicillium, is part of a genus that produces penicillin, a powerful antibiotic in worldwide use today. Unfortunately, not all mould types are so beneficial. And some strains are more likely to make their home inside your home or workplace than others. According to the Centers for Disease Control (CDC), one of the best and most accurate ways to determine whether mould has invaded an indoor space is to look for health symptoms in the people who live or work there. An indoor air quality test can be especially helpful for two reasons: 1) to identify the type of mould spores in your indoor air, and 2) to provide proof to an employer that mould is present in the workplace. An indoor air quality test will produce definitive information regarding the types of toxins and irritants that are currently present within the indoor air system of any space. Once you have a confirmation of mould, either via health symptoms aggravated by re-entering the suspected space or by an indoor air quality test or both, the next step is to "remediate" or treat the space to remove the mould spores. It is essential to thoroughly remediate any space invaded by mould, because if any spores are left behind, they can begin to replicate again, and in time the same problem will recur. Lessening the humidity in your indoor air (aiming for between 30 and 50 percent). Removing ongoing or recurring dampness from certain key areas. Repairing structures that have become compromised as a result of mould growth. Adding ventilation in appropriate areas so damp air can escape. Clearing the existing mould spores out of the air duct system and filters. Remove carpeting or drapes in favor of hardwoods/tile or blinds. Before painting, add a coat of mould inhibitor to doors, walls, and ceilings. Replace worn roofing where leaks may be occurring. Switch to a heat recovery ventilation system to prevent contaminants from re-entering the indoor air supply. Change to a HEPA-rated whole-home or office air filtration system to filter out stray mould spores that may re-enter your indoor air system. Install air purifiers in key areas where higher levels of humidity or dampness are unavoidable. Schedule an air duct cleaning to remove all mould spores from your home/workplace indoor air supply. At home and in workplaces that use commercial washer/dryer systems, schedule a dryer vent cleaning (ideally on the same day you do the air duct cleaning). At home, schedule a mattress cleaning to remove mould spores from your bedding (ideally on the same day you do the air duct and dryer vent cleanings). We invite you to contact Clean Air Solutions by phone at 905-544-2470 or online to schedule an indoor air quality consultation.